1.- Magnus Choir VSTi: Is a virtual instrument plug-in which can be used to create natural and synthetic choirs, using a combination of synthesis and sampling. The male and female mixed choirs features the classic SATB (Soprano, Alto, Tenor, Bass) structure: women sing Soprano and Alto, while men sing Tenor and Bass. 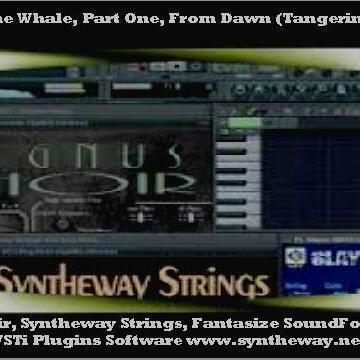 2.- Syntheway Strings VSTi: Is a "rich-sounding" sample based string VST instrument. Its Multisampled Ensemble Strings: Violin, Viola, Cello & Double Bass, has the ability to produce beautiful and lyrical lines, as well as powerful and forceful articulations. Mac OS X v10.6 "Snow Leopard", v10.7 "Lion", v10.8 "Mountain Lion"
Formats available: dll VST Windows PC, VST for Mac, AU Audio Unit .component for Mac, NI Kontakt NKI Sample Library, Apple Logic EXS24 MkII Sample Library for Mac OS X.